Spring is here and so are the first bundles of organic, California-grown asparagus — one of our favorite seasonal produce staples. This crunchy, earthy vegetable cooks in minutes and pairs well with just about everything. Slice it thin and toss it raw into salads, serve it steamed and drizzled in olive oil with a squeeze of citrus, or roast it to intensify its flavors. Asparagus is nutritious, too — it’s full of vitamins, minerals, and antioxidants while being low in calories. If you’re looking for a quick, healthy, and delicious side to keep on standby, it’s hard to beat simple preparations of fresh asparagus. 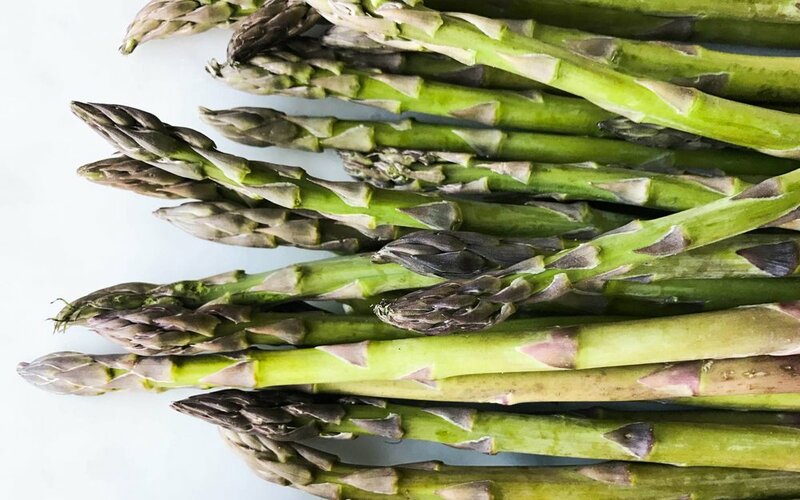 Every spring we eagerly await the first harvest of organic asparagus — or “grass” as farmers call it — from local producers like Full Belly Farm, Riverdog Farm, Durst Organic Growers, and Coastal View Produce. You’ll mostly see green asparagus in our Marketplace, but keep an eye out for the purple variety later in the year. Thin-Speared Asparagus — The thinnest we offer, in the neighborhood of 3/16 inch in diameter (a little thinner than a pencil). Perfect for sautéing because the spears will brown but not burn before they’re cooked through. Asparagus — Medium thickness, around 3/8 inch in diameter (a little thicker than a crayon). A versatile size that works well for most preparations. Thick-Speared Asparagus — Extra-large or jumbo-sized, all the way up to just under an inch in diameter (about the same as a quarter). It will hold up well to grilling and roasting. Wait to rinse the spears until you’re ready to cook them. Washing produce too early promotes bacterial growth and could speed up spoilage. Wrap the asparagus bundle in paper towels to absorb excess moisture, then put it in the crisper in a loose plastic or biodegradable bag. To reduce your use of paper towels and plastic, you can refrigerate asparagus in an uncovered glass jar with the bottoms sitting in an inch of water. Wash — A quick rinse with cold water will remove any dirt that survived the post-pick wash at the farm. Break or Trim — Hold an asparagus spear with one hand toward the bottom and one in the middle, then bend it until it naturally breaks where the stem becomes dry and woody. This works most of the time, but you may end up breaking some spears in the middle. Cutting the ends off several spears at once with a knife is an even quicker method. Peel — Thin-speared asparagus doesn’t need to be peeled, but for anything thicker, it’s a good idea to remove the skin. Use a vegetable peeler, starting two-thirds of the way up the stalk and peeling toward the bottom. The skin is thin, so be careful not to peel away too much. You can save the peelings (but not the woody ends) for vegetable stock. Every oven, pan, and stove is different, so use the cooking times below as a general guide rather than watching a timer. Instead, test for doneness as you cook. A paring knife or fork should slide easily into the thickest part of the stalk when it’s ready. You want the asparagus to be tender — it can still be crisp or browned on the outside depending on how you cook it — but not mushy. Err on the side of undercooking asparagus. It will continue to cook when it’s off the heat, and you can always toss it back in the pan if it’s underdone, but you can’t uncook it! Boiling/Simmering — No need to break out a bulky stock pot. Just add an inch or two of salted water to a skillet or sauté pan and bring to a boil. Add the asparagus in a single layer, cover, and simmer. Begin testing for doneness after 2 minutes. Steaming — Bring an inch of salted water to a boil, add the steamer insert and asparagus (careful not to overcrowd), cover, and cook 3 to 5 minutes. Don’t have a steamer insert? You can bundle the spears with some twine and stand the bundle up in the pot (or lean it against the edge if it won’t stay upright), cover, and steam. Sautéing — This method works best with thin-speared asparagus. Chop the spears into two-inch sections to increase the surface area and encourage browning. Heat a tablespoon of canola or grapeseed oil over high heat in a skillet until it shimmers (don’t let it smoke). Add the asparagus with a pinch of salt and pepper, and sauté 3 to 5 minutes, stirring often. Try adding minced garlic or chiles during the last minute of cooking. Microwave — If you don’t want to put another pot or pan on the stove, don’t be shy about using your microwave. Put a splash of salted water into a microwave-safe dish, add the asparagus, cover, and cook on high for 2 to 3 minutes. Check for doneness and cook an extra minute or two as needed. Roasting — Heat your oven to 425 degrees. As it’s warming, toss the asparagus with olive oil, salt, and pepper, and spread the spears out in a single layer on a baking sheet lined with foil for easy cleanup. Roast 10 to 15 minutes, turning once if you like, until the outside is browned and the inside is tender. Grilling — Throwing some asparagus onto the grill is an easy way to add vegetables to your barbeque without dirtying any extra dishes. Toss the spears in olive oil, salt, and pepper just as you would when roasting, then grill over medium-high heat 10 to 15 minutes, turning the spears once or twice to make sure they char evenly. A sprinkle of sea salt and freshly ground pepper are all that’s really necessary. Let the flavor of the asparagus shine. Top it with a pat or two of butter right after it comes off the heat and let the butter melt before digging in. Drizzle with good quality oil. Extra-virgin olive is the most common, but you can use other finishing oils, like walnut or pistachio. 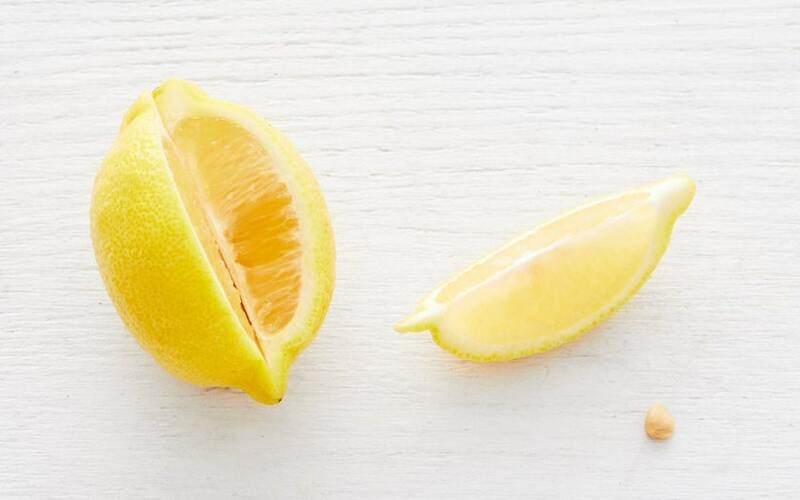 Give it a squeeze of lemon or lime juice to add some brightness and acidity. Toss with a simple vinaigrette made from three parts oil and one part vinegar. 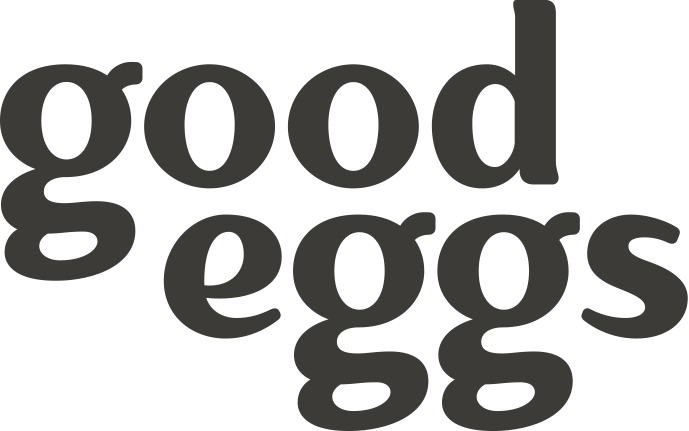 Or grab a vinaigrette (Meyer Lemon is a good choice) from the Good Eggs Kitchen. Asparagus may take three years to grow from the time it’s planted until it’s harvested, but you can get this delicious spring staple on the table in a few minutes flat. Prep it, choose an easy cooking method, finish it off with a simple dressing, and you’re good to go.